Robin Thicke has been announced as one of the headliners for the popular festival known for its non-stop beach parties, over the top nightclub events and R&B music concerts. 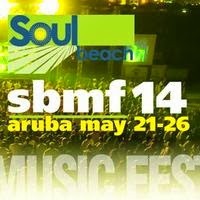 @ChirlGirl: 13th Annual Soul Beach Music Festival Was A Blast! !